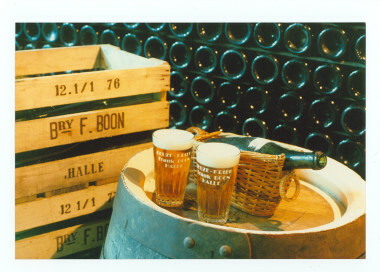 Geuze Boon Mariage Parfait is an exceptional example of craftsmanship when it comes to blending lambic beers. Only the finest three years old Lambics are selected to be accompanied by a small percentage of young lambic in a perfect marriage made in brewing heaven. For Boon, it’s all about balance, so in order to provide the traditional Geuze Mariage Parfait with enough body to withstand the abundance in different flavors, the especially brewed Lambics have a high degree of fermentation resulting in an alcoholic content of 8% Alc.Vol. 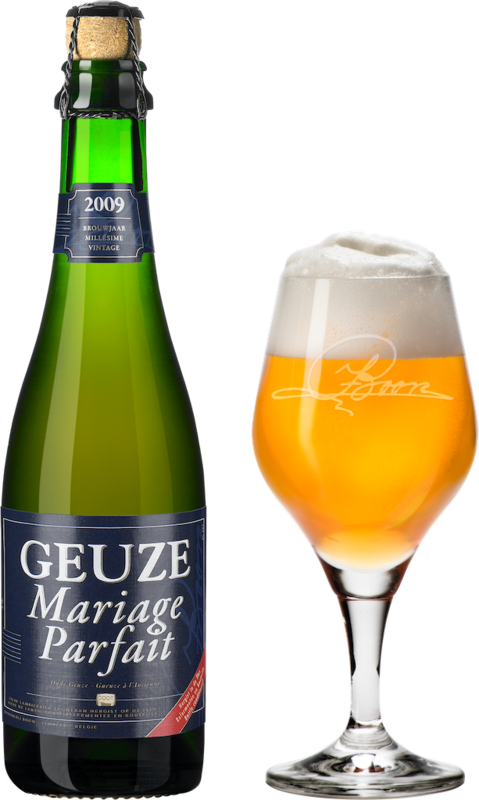 The result is a refined combination containing the fruitiness of lime zest and tangerine, smooth vanilla, slightly tart, palate refreshing acidity and a warming mouthfeel.Boon Geuze Mariage Parfait is unsweetened, unfiltered and unpasteurized. To complete the perfect marriage, it is bottle conditioned and can be stored up to 20 years.